Samuel Houston Dixon. Image available on the Internet and included in accordance with Title 17 U.S.C. Section 107. Southern Mercury Newspaper. Courtesy of the University of North Texas. Image available on the Internet and included in accordance with Title 17 U.S.C. Section 107. The Poets and Poetry of Texas, authored by Samuel Houston Dixon, 1885. Image available on the Internet and included in accordance with Title 17 U.S.C. Section 107. 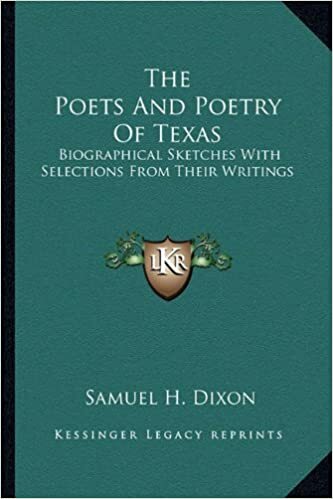 Handbook of Texas Online, Keith L. King, "DIXON, SAMUEL HOUSTON," accessed April 19, 2019, http://www.tshaonline.org/handbook/online/articles/fdi31. Uploaded on June 12, 2010. Modified on February 1, 2017. Published by the Texas State Historical Association.